Spatial management of the marine environment is central to the EU environmental strategy, although it has not been at the forefront of the Common Fisheries Policy. It is time to focus on those rare cases of fine-scale spatial management of marine resources currently active in Europe, to extract precious information of potential relevance to other contexts. The Stalked Barnacle (SB) fishery is one of such cases. Networks of Marine Reserves (MR), properly spaced and connected through larval flow, hold promise as tools to achieve sustainable management of fisheries while preserving biodiversity. However, spatial restrictions on fishing usually encounter strong opposition among fishers, what has spurred interest into “partially protected areas” (e.g. Coleman et al. 2013, Sciberras et al. 2013, Lester and Halpern 2008). Finding the right configuration for such “grey” protection figures is arguably the challenge of marine conservation in general, and of the marine Natura 2000 network in particular. Moreover, in the EU the top-down approach of the Common Fisheries Policy has neglected the small scale fleet (SSF), leading to overexploitation and to a deficit of involvement of the fishers in the sustainability of the stocks (Macfadyen, Salz, & Cappell, 2011). This is unfortunate, because it is precisely the SSF that offers the greatest potential for the bottom-up emergence of spatially structured management practices. One salient example is the Territorial User Rights for Fishers (TURFs), where a group of fishers are allowed exclusive use of the resource within a spatially restricted area of the ocean, in exchange for strict adherence to the regulations based on scientific assessment of the stock. Most importantly, they are bound to co-manage the fishery through active involvement in the decision process, switching from a “race for fish” to a “farmer” mentality. It has been shown that TURF co-management promotes the sustainability of the stocks and has add-on benefits on biodiversity (Gelcich et al. 2008). Clearly, the few existing EU TURFS deserve closer attention as examples with potential wider application (Parkes et al. 2009). 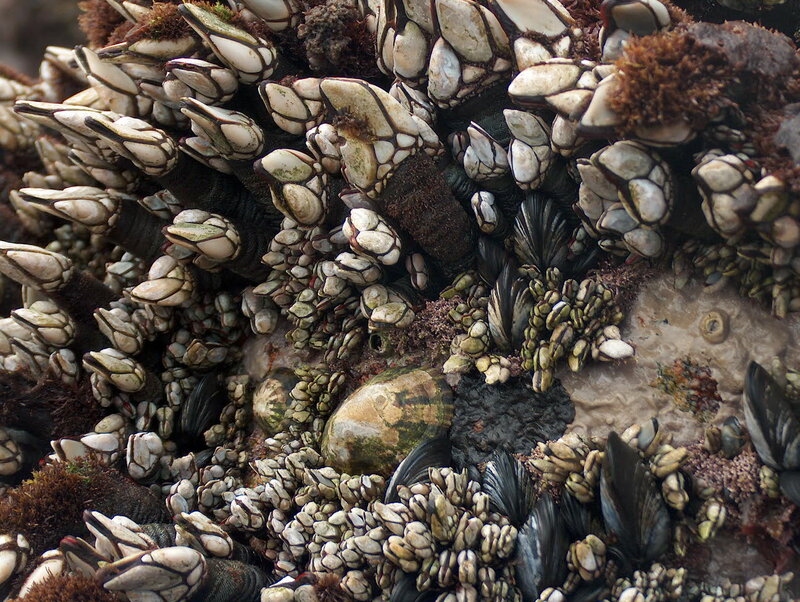 Pollicipes pollicipes or stalked barnacles (SB) inhabit the intertidal levels of exposed rocky shores from Senegal up to the Northern Coast of France (Barnes, 1996) and reach first-sale market prices up to 200 €/Kg (Rivera et al. 2014). Harvesting SB leaves significant discards of young individuals and patches of bare rock surface where other organisms can settle. 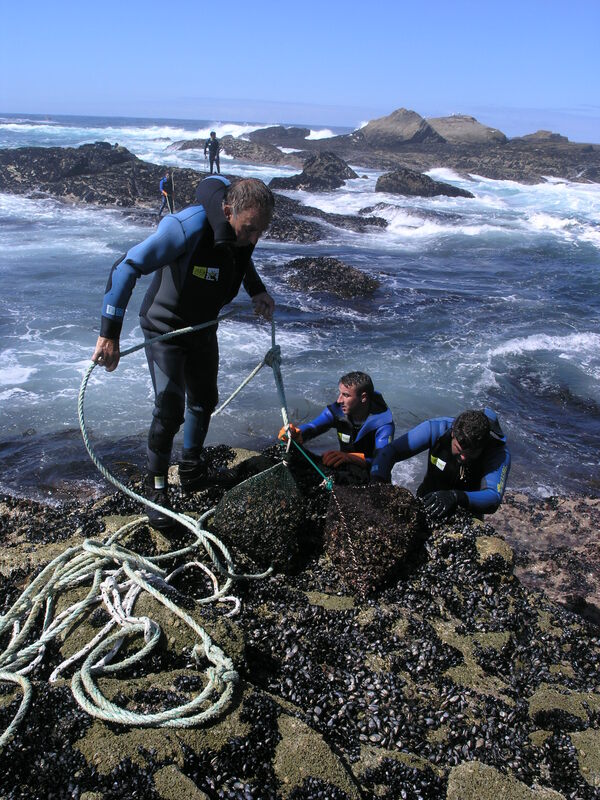 Because space is the single most important resource in intertidal communities, SB harvesting has the potential to modify biodiversity patterns in this ecosystem. This not only may have consequences for conservation; both fishermen and biologists speak of a process of substitution of SB by crustose algae and other sessile species in heavily exploited sites. This would be analogous to a “tired soil” in agriculture. In France and Portugal the fishery is essentially open access, with a restricted fishing period and with some Marine Protected Areas (Sousa et al. 2013; Akilah et al. 2014; ). The French fishery will probably gain importance at the northern boundary of the species due to increasing demand and climate change (Chust et al. 2011). In the Northwestern Spanish regions of Galicia and Asturias, a successful TURF system has been in place for more than 20 years, serving a precious wealth of information (Parada et al., 2012; Rivera et al. 2014). Particularly in Asturias, the incorporation of Local Ecological Knowledge in the co-management process has resulted in the fragmentation of TURFS into management units the size of single rocks or groups of rocks (Rivera et al. 2014). Thus, the system is unique regarding the exceedingly fine spatial scale of co-management. Moreover, among the management regimes there are fallow periods where some of the rocks are left to recover during one year. The effect of such spatial fragmentation and of fallow periods on the biodiversity and productivity of the stands, is as yet unknown. These unique, bottom up management innovations bring together MRs and TURFs, since a fallow rock is in essence a temporary MR. How fast do the biodiversity and productivity of SB stands recover from overexploitation under a fallow regime? What is the larval connectivity among micro-managed rocks? How does rock closure or marine reserves impact SB productivity at the landscape level? Project PERCEBES builds on the sheer diversity of management scenarios of the European SB fishery, and on its ongoing, active process of innovation in spatial co-management, to develop a set of tools to forecast the implications of spatial management options on productivity, biodiversity and connectivity, and to extract precious information to guide marine spatial planning of Small Scale Fisheries in other contexts in the EU.